Engineered with passion, purpose and performance for over 40 years, we build around the most important feature—you. 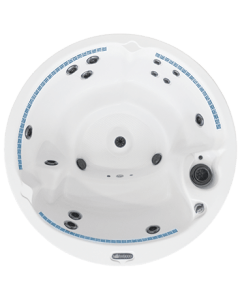 Explore below to see why Dimension One Spas is unlike any hot tub in the world. The @Home Collection combines affordable style, quality, and performance. Relaxing, wellness or romance, these spas offer something for everyone. Studies have shown that hot tubs help reduce stress, symptoms of arthritis and fibromyalgia, help improve sleep quality, blood pressure and expedites the body’s healing process.D1’s patented innovations like the Jet Therapy pillow that targets the neck and shoulders and tactile therapy that allows for an acupressure massage, are just a few examples of D1’s commitment to your health and hot tub soaking experience. D1 hot tubs are designed to not only be a relaxing retreat, but also a focal point for backyard entertainment. 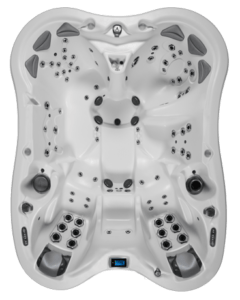 From the high performance marine grade speakers to the variety of fountains and dynamic light shows, your D1 spa becomes a work of art that can light up the night. Every aspect of your D1 tub’s design has been considered for your satisfaction and peace of mind. 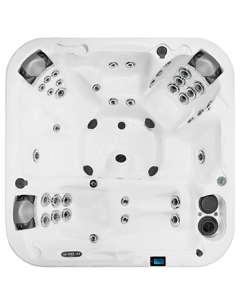 Locate a hot tub dealer near you so you can experience the D1 Difference for yourself!